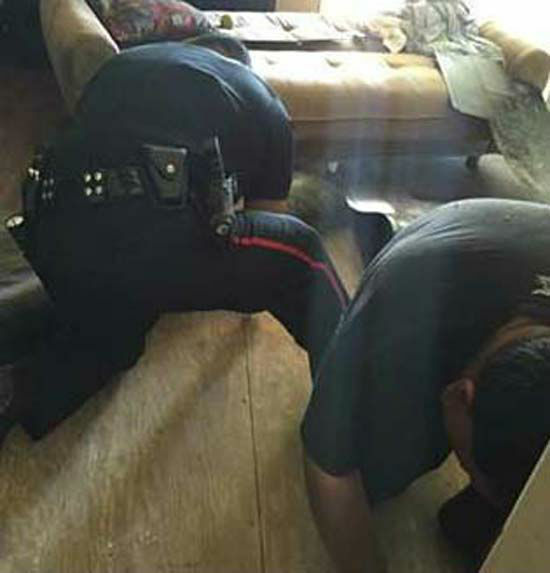 PASADENA, TX (KTRK) -- A dog trapped under a house in Pasadena was rescued this week by police who had to cut through floorboards to reach the overheated pup. 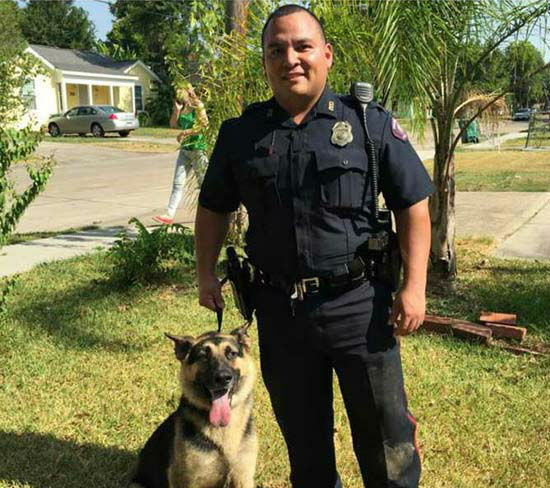 The Pasadena Police Department says on its Facebook page that it all happened while two officers were out on patrol and were flagged down by a homeowner in distress. 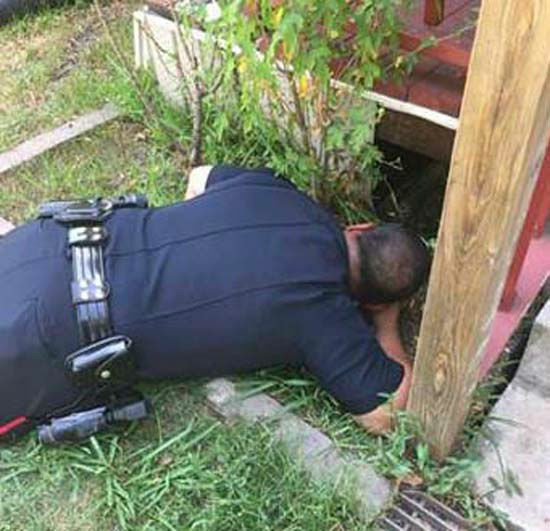 The man told them his 125-pound German Shepherd was under the house, too weak to come out after it had crawled under to escape the heat. 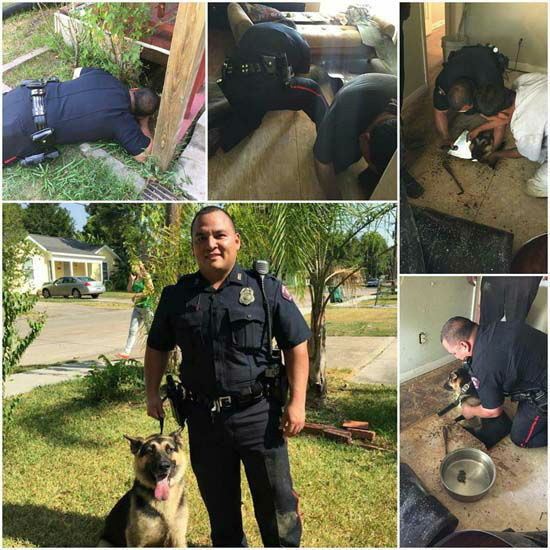 Though Officer J. Salazar and the homeowner were able to see the dog under the house, they couldn't reach him. 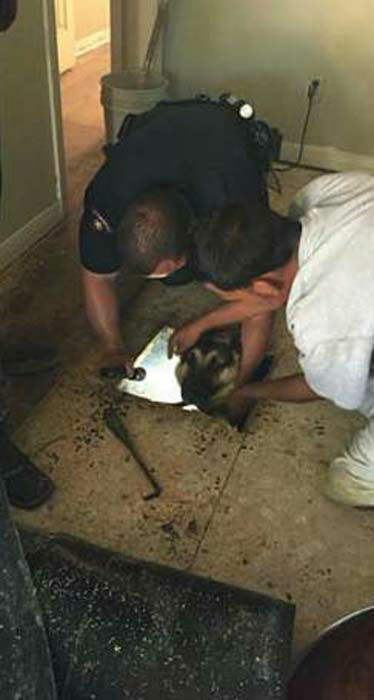 Instead, officers had to cut a hole in the house's floors with a chainsaw to pull out the overheated dog. 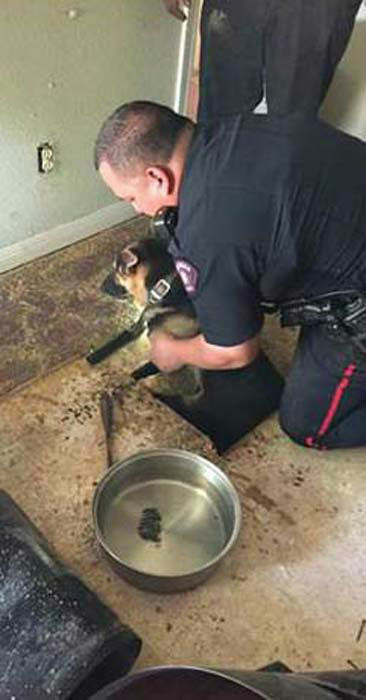 The police department said of the rescue, "The dog was very weak and in shock, but after being cooled down with a water hose, he was back to normal!" The homeowner's name and the dog's have not been released.